The mirroring is quite distracting, and detracts from the overall quality of the render. I think supporting full 360 by 180 degree sky maps is an important improvement. While I was adding support for more sky maps I thought it would be cool if you could use spherical sky maps, or skyboxes as well. 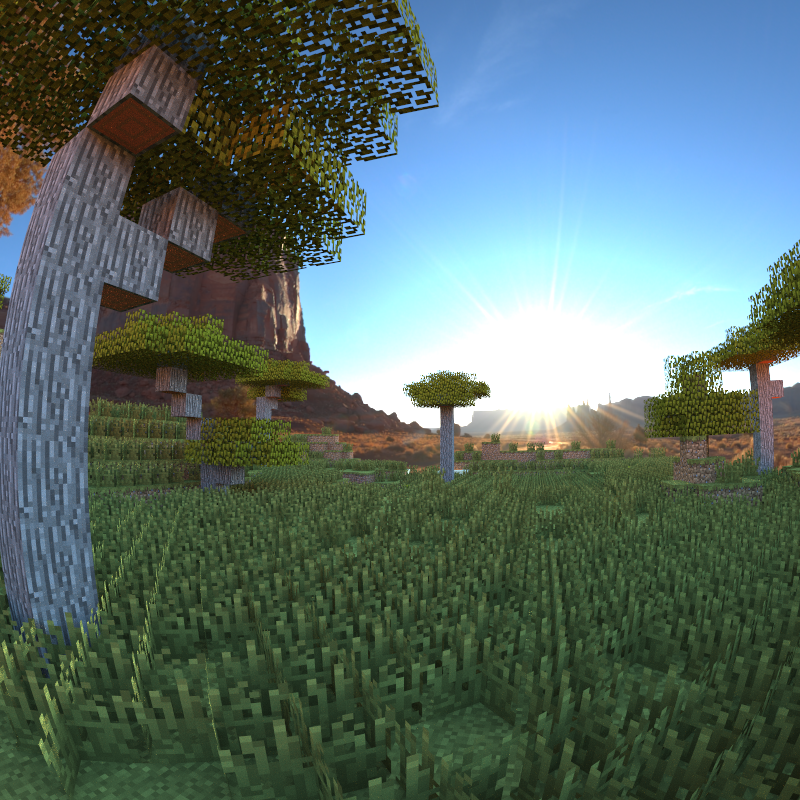 So, skyboxes and spherical sky maps can now also be used in Chunky. Spherical sky maps are pretty cool, because it’s quite easy to make one yourself, just take a picture of a shiny metal sphere and you have a ghetto spherical sky map. Sky Color Variations from Jesper Öqvist on Vimeo. The vista-render looks awesome. I love how the sun illuminates the mountain-side. The mountain in the background is actually part of the sky map!